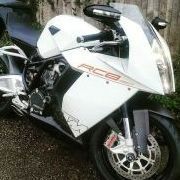 Got to say it, this is looking nigh on a carbon copy of June 2012! Very similar charts and timings too. Just go to Leicestershire and you will be guaranteed a storm. A cell has just popped up in Normandy abouve that rain band finally pushing it's way North. We had nothing at all on that day - words cannot accurately describe how angry I was! man, you were very unlucky.....all hell broke lose, no wonder you were angry! Let's hope the sea temperature at 13. 5 c doesn't have a negative effect mumspantz ..
Pickering where the f#*ks that? Good luck to everyone over the next few days, always a few surprises when it comes to storms, my camera is charged and ready to go. Heading towards Exeter, at a guess. 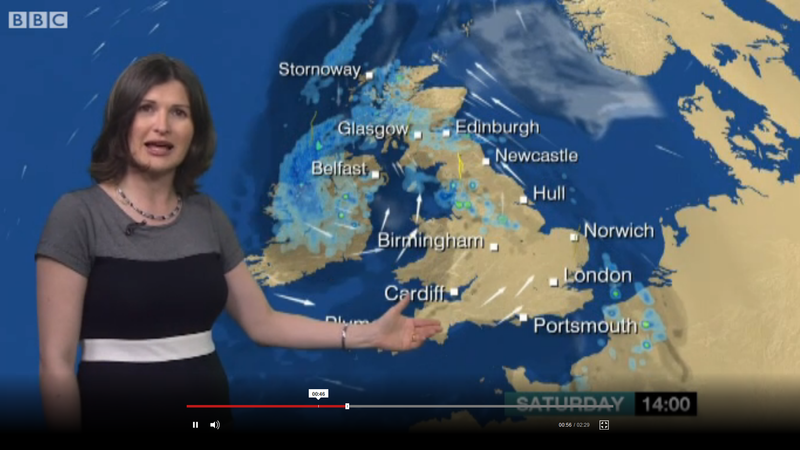 Yeah, I remember seeing all of the storms breaking out over Brum and then through Leicestershire and LIncolnshire, and then later in the day over Cumbria and the NE. We were in the dry slot. Sorry to be a bit negative,but to me that storm in the southern BoB looks to be shunting ENE,whether something kicks off on the northern flank i don't know,will have to wait and see. I don't pretend to be a professional in any way shape or form, but I normally have a rough idea of what's going to happen when there is potential like this. Tomorrow I have absolutely no clue how it's going to work, but hey, that makes it more exciting right? Can't see it yet.But will be delighted to be proved wrong. Again! 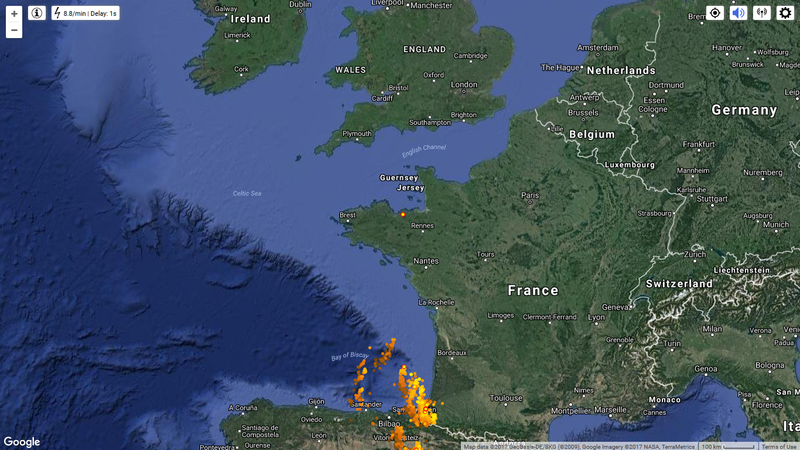 That cell in north France already showing quite a few strikes and is only about 10-15mins old! crikey!!! it's packing a good ol punch for 15 min cell from nothing. Really has got going! Jeez! Looking like it may well have dorsets name on it in a few hours. Looks to be travelling directly Northwards.